I Don’t Do Boxes: Out Loud! 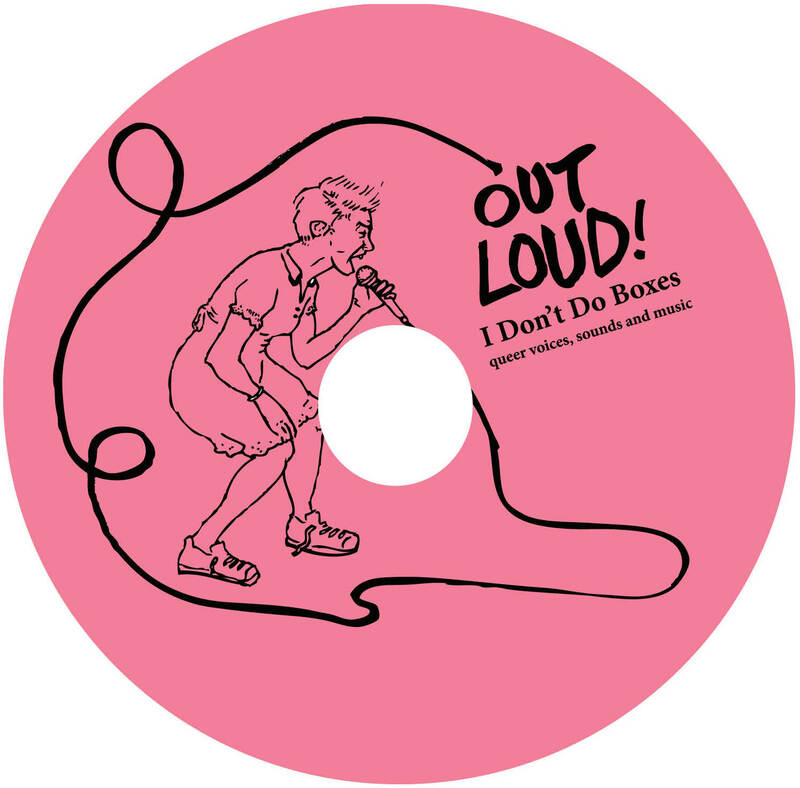 The second issue of I Don’t Do Boxes, Out Loud!, brings together a diverse collection of stories, poems, artworks and sounds exploring LGBTQ experience. 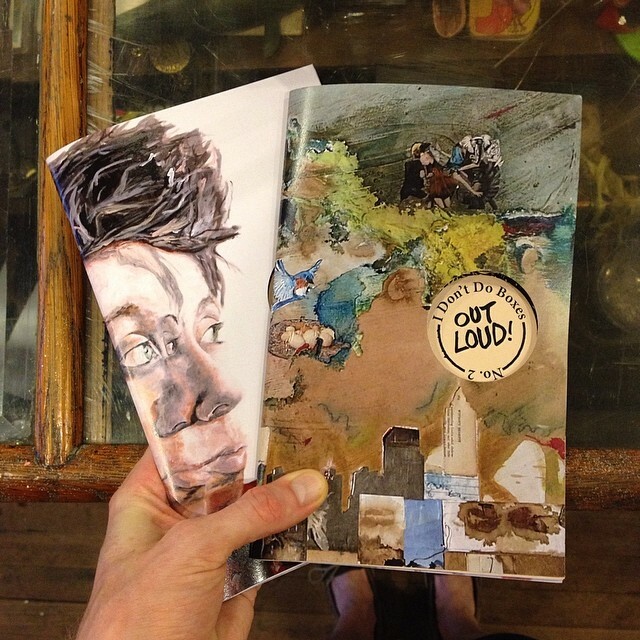 This issue invited queer youth, musicians and artists to explore the power of voice in different ways. An accompanying compilation of music, sounds and recordings offer listeners everything from raucous punk anthems, to ambient noise experiments, queer oral histories, and queer-hop beats. Listen closely and you may hear yourself through the intimate stories shared. Out Loud! was edited and produced by a team of queer-identifying youth and community members at Elsewhere museum including: Peter Muniz, Bradley Durham, Megan Denton, Alyzza May, Brent Simoneaux, April Parker, Hillary Johnson, Morgan Beatty, Allen Moore, Peter Pendergrass, Kaye Hayes, Damon Shelton, Valerie Wiseman, Niina Cochran + Chris Kennedy. 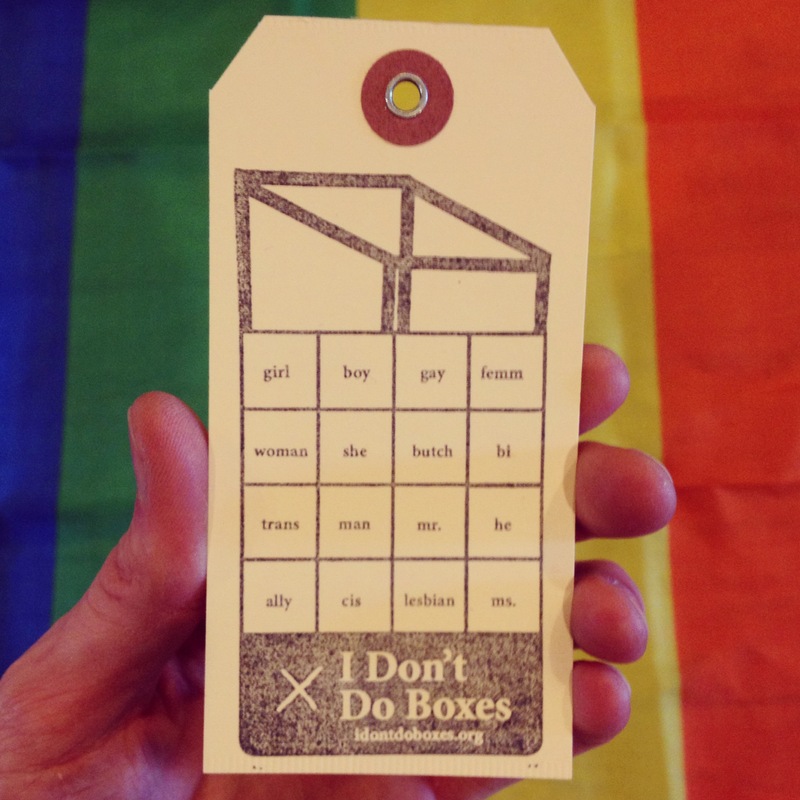 I Don’t Do Boxes is a magazine exploring LGBTQ experience, published at Elsewhere and edited by a team of queer-identifying youth.